Home › Spiritual Growth › Can Christians be Hardass? If you’re a Christian and someone says, “I want to take advantage of you,” the truly Christian response is to make like a doormat and let ’em walk all over you? And if someone says, “I want to hurt you,” a true Christian will meekly bend over and take it—even asking for extra punishment and abuse? Jesus wasn’t only about turning the other cheek. He could also be a real hardass. So . . . should Christians turn the other cheek and not resist evil, or should Christians take up arms (literal or figurative) and fight against evil? You see, Jesus does not offer a one-size-fits-all solution to be used in every situation. While challenging old assumptions about how to respond to evil, he teaches and demonstrates various methods and tools to deal with evil in different circumstances. The Bible is not a simple book offering simplistic solutions. It is a complex book offering many different ways to face the issues and struggles of life. If we wish to be truly Christian, we must use our thinking mind to assess the particular situation we are facing, and choose which particular teachings and examples in the Bible best fit that situation, and are most likely to bring about a good result. True Christianity involves acting intelligently in order to accomplish some specific goal of making things better for ourselves and for the people around us, and moving our corner of the world closer to God’s realm. Sometimes that will mean not resisting evil. Other times it will mean getting tough and fighting against evil and injustice. With that in mind, let’s take a closer look at what Jesus said about loving our enemies and turning the other cheek. “You have heard that it was said, ‘An eye for an eye and a tooth for a tooth.’ But I tell you, do not resist an evildoer. But if anyone slaps you on the right cheek, turn to them the other cheek also; and if anyone wants to sue you and take your shirt, hand over your coat as well; and if anyone forces you to go one mile, go with them a second mile. Give to those who ask you, and do not refuse those who want to borrow from you. Now let’s look at it a little more carefully, in light of the balancing passages where Jesus does not offer the other cheek, but comes out swinging! To get the full impact of Jesus’ words here, it helps to realize that when he said, “You have heard that it was said, ‘An eye for an eye and a tooth for a tooth,’” he was not merely referring to social customs; he was quoting from Scripture. Not once, but three times in the Hebrew Scriptures (Exodus 21:22–25; Leviticus 24:17–22; Deuteronomy 19:15–21) the ancient “Law of Retaliation” is given as a commandment from God. “You shall love your neighbor” is also a direct quote, from Leviticus 19:18. Scripture does not directly say “hate your enemy,” but in many places in the Old Testament God commands the ancient Israelites to slaughter and wipe out their enemies. In other words, in saying these things, Jesus is directly contradicting the Scriptures and the long established customs that were sacred to his audience and their religious leaders. The Law of Retaliation does involve a certain kind of rough justice. It can even be seen as a moderating principle: without such a law, many people would do much greater damage to those who have hurt them, causing a vicious circle of revenge and counter-revenge. As a principle of rough justice, it has been practiced in many cultures since ancient times, and even continues to be practiced in some societies and communities right up to the present. However, Jesus wished to lift society up to a higher level. He advocated a new, more spiritual, and more enlightened approach to the ancient problem of evil and crime. It’s not so much that he was contradicting Scripture as that he was saying that it was time for humankind to move toward a higher law. When humanity moves to a higher level, some of the laws that were designed for earlier and less enlightened societies can drop away. But old laws and customs don’t die easily. 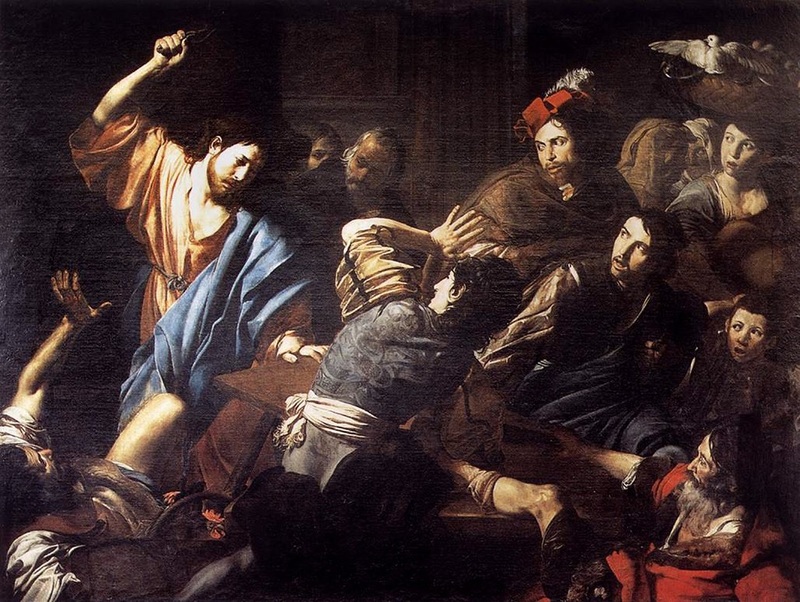 Jesus had to make a big impression to even cause a dent in the old, well-established idea of retaliatory justice. That’s one reason that in the Sermon on the Mount he went to the opposite extreme, advocating a form of pacifism and non-retaliation that was in stark contrast to the ancient Law of Retaliation that he sought to uproot and replace with more enlightened principles. As any carpenter, plumber, or electrician knows, you need more than one tool to get most jobs done. If all you have is a hammer, how can you drill a hole or paint a wall? Life throws many different situations at us. The more “tools” we have in our spiritual toolbox, the better we’ll be able to handle all those situations. When Jesus says, “Don’t resist evil” and “Turn the other cheek,” it doesn’t necessarily mean that’s the best thing to do in every situation. If that’s what he had meant, why did he say that he came not to bring peace, but a sword? And why did he himself resist evil many times, on one occasion even using a literal, physical weapon (a whip) to combat an injustice? Put in the context of Jesus’ entire life and teaching, the message is not that we must give in to evil and let it roll over us. Rather, Jesus is telling us that in some cases turning the other cheek and not resisting evil is actually a much more effective means of dealing with evil. Notice that all of these examples are of offenses that are probably one-time events. (Being “forced to go one mile” refers to an ancient Roman practice whereby a Roman soldier could force one of the locals to carry his heavy backpack for up to a mile.) And while they could be a serious insult or inconvenience, they are not likely to be life-threatening. In other words, Jesus’ examples of when to “turn the other cheek” were for relatively minor offenses, not for major, ongoing assault and abuse. In such cases, Jesus is saying, resisting or retaliating is not the best way to deal with the situation. If someone slaps you on the cheek and you slap them back, the most likely result is a big fight, in which everybody loses. If you’re having a dispute about something minor, like a shirt, is it really worth going to the courts and duking it out there? The only winners will be the lawyers! If a soldier points his sword (or gun) at you and orders you to carry his backpack for a mile, how smart is it to say “No”?!? If a friend asks you for a few bucks, sometimes just giving the money is the best thing to do. But Jesus’ teaching also goes beyond mere convenience and expediency. If someone slights or slaps us, the expected response is that we will try to get back at them. What if we don’t? When we react to rude and thoughtless people in ways they don’t expect, sometimes it causes them to stop and think! Consider an ancient Roman soldier who is used to having all the locals hate and fear him, and grumble unwillingly when he exercises his right to force them to carry his pack for a mile. What if one day, instead of cursing and groaning, one of them not only carries the pack cheerfully, but when the mile is up, says, “Here, let me carry it for you another mile”? Of course, the soldier might just say, “What an idiot!” But there’s a pretty good chance he’ll have something new to think about. What sort of person does that? Can I be happy even in the face of mistreatment and injustice? In short, Jesus is telling us that if someone hurts or insults us, instead of responding in the standard retaliatory fashion, try responding in a surprising way! Try doing something nice for the person instead, and see if the whole situation can be turned from negative to positive. Doing so also means that instead of just reacting to others and therefore being controlled by others, we are taking matters into our own hands. We are taking specific, well-thought-out actions of our own in order to achieve a specific result: taking an evil, hurtful situation and turning it into a good and constructive situation for everyone involved. What if you turn the other cheek, and your attacker slaps you silly, then comes back the next day and beats you to a pulp? What if you hand over your shirt and coat, and the person you give them to proceeds to strip you naked, and steals all the clothes in your closet, too? What if you are being subjected to ongoing oppression, and being forced into a lifetime of slave labor? What if you lend your friend a few bucks, and your friend keeps coming back week after week, asking and begging for more and more money, and even stealing money from you? Are you still supposed to turn the other cheek? No. Christianity does not mean you have to make yourself into a doormat, or meekly bend over and take a hiding from anyone who wants a piece of you. When it comes to sustained, ongoing evil, a more active response is called for. When Jesus was faced with the long-established tradition of merchants making big profits from the prescribed religious practices of the people, he drove them out of the temple with a whip. When Jesus was faced with an entrenched group of religious leaders who were abusing and misleading the people while building up wealth and power for themselves, he engaged in a fierce verbal battle with them that ultimately cost him his life. When we are faced with ongoing, systemic evil, that is when Jesus “did not come to bring peace, but a sword.” That is when it is time to “put on the whole armor of God” (Ephesians 6:13–17) and engage in an active battle to right wrongs, defeat injustice, and replace it with justice both for ourselves and for others. When faced with ongoing evil and abuse, it is not time for Christians to bend over and take it. It is time for true Christians to be hardass for as long as it takes to resist and overcome that evil. Yet as Jesus says, this should never be done in order to retaliate. It should be done for definite, positive reasons, aiming at a good result. It should be done out of love and respect not only for ourselves and those we are defending from evil, but also for the enemies who are perpetrating the evil. It should be done, not to get back at the offenders and hurt them, but so that what is just and right can prevail. It should be done so that both we and those we love can live in peace, protected from those who would harm us. “Loving our enemies” is much more complex than just being nice to them. Sometimes it means preventing them from doing the harm they intend to do. But that is a subject for another article. ‹ What if people actually did what Jesus says to do? Thanks for another great post which truly resonates with my own experiences. Peace – or maybe not! What does Jesus mean when he says “I have not come to bring peace, but a sword.”? Isn’t he supposed to try and help us with our issues? Am I looking at it wrong? Also, this is a bit of an off topic question that I might as well put here. I’m really confused on lust. Are high school crushes lust? Let’s say I have a male friend that I fell in love with. I constantly daydream about him and our idealistic future together. We’re good friends but I want to be more and it’s pretty much every high school crush ever, heh. But one day, he gets a girlfriend and I’m disappointed because I was hoping we could’ve been together. But I want him to be happy and I keep my feelings to myself and focus on just having a good friendship. However, deep down I still wish to be with him. I’m not going to force him to be with me but I still love him. Is that technically lust? Does God want us to not have crushes? Sorry for asking a lot of questions, religion really confuses me and I worry a lot..
I’m not sure what exactly your first question is. Could you be a little more specific about what the issue is? On your second question, “lust” as used in he Bible is not a mere crush, or fantasizing, or daydreaming. It is a burning desire that drives a person to act on that desire if possible. If you have a crush on a boy but realize it’s not going to happen, and move on . . . but still daydream about it, that is not the “lust” that the Bible talks about. For more on the meaning of “lust” in the Bible, see the article, “Is Masturbation Always Sinful? Does it Always Come from Lust?” I realize you didn’t ask about masturbation, but the three articles I posted here on that subject just happen to be where I take up the issue of lust, sexual desire, and so on. It is normal and healthy for us human beings to have sexual desires, and to fantasize about people we’re attracted to. Yes, sometimes it can get out of hand, but usually it’s just part of who we are, and not anything to worry about too much. The acid test is what we actually do. Why would Jesus BRING conflict? Is the sword a metaphor for more conflict or is it a metaphor for FIGHTING conflict? If it’s the second one, then that would make a lot more sense than the fist one, as Jesus is supposed to be loving, so I don’t understand why he would purposely create more conflict. Also, a bit off topic on the actual article, but there’s no point to write two separate comments. A couple months ago, I saw a few people on YouTube reviewing movies. I thought those people were absolutely HILARIOUS and I got invested in the idea of critiquing movies and such. It’s too the point where I’m considering reviewing movies/book/game/whatever on YouTube as well and either have it as a hobby or as a job. However, something occurred to me yesterday and today that left me freaking out: Is it a sin to do this? To make fun of movies and books and games that some people put so much time into? In one of your articles, you say that in order for something to be a sin, it has to hurt people. Bad reviews CAN hurt people. Especially if someone rants on how horrible a movie is. I mean, if I were to do it, I would try to be as fair as possible when reviewing awful products (Ex: “The soundtrack is decent” “The art would look better in 2D” “They clearly tried to make this good”) and target the product and not the people who made it, of course. And I know that if somebody makes something, they’re going to have to understand that their movie can get terrible reviews. But would I be a bad person if I did it? I’m admittedly sarcastic and I can get emotional and bitter, so I would probably say some pretty harsh things about the movie like “These movies are HORRIBLE!” “The animation is just ugly!” etc. It really scares me to think that God would be upset with me for being a critic, as these reviews make me so happy and I love watching them. I don’t want it to be a sin because I get a lot of pleasure out of watching and reading reviews online. Is that selfish? Am I just thinking about me and not the person? Long story short: Is being a critic a sin? Am I being selfish for not wanting it to be a sin? Jesus was mostly speaking metaphorically when he said he came, not to bring peace, but a sword. In the one instance in which one of his followers actually used a literal sword, Jesus told him to put it away. He was talking, instead, about putting people at odds with one another because his followers would stand up for justice, truth, love, kindness, and so on against a world that primarily values power, wealth, and pleasure, and doesn’t care who it steps on in order to get it. So basically, he was talking about the battle between good and evil, between truth and falsity, between justice and injustice, between love and hate. But seriously, I don’t think being a critic is a problem as long as it doesn’t descend into personal attacks, smearing people’s reputation, engaging in libel, and that sort of thing. When someone puts something out into the public, they’re opening it up to both positive and negative reactions. Well-founded criticism can actually improve the work of artists and writers because they can get an honest appraisal of what does and doesn’t work in their work, and make adjustments accordingly if they so desire. Also, reading a bad review of a bad movie saves millions of people from wasting money and time on something that the ads and trailers all say is The Greatest Movie Ever, but which in fact is a piece of trite, boring junk. Just don’t get out there to trash everybody and say how stupid everybody is. There’s already way too much of that out there. If you’re going to be a critic, focus on giving your honest view and appraisal, both positive and negative as appropriate, of the works you review.